Four years ago Cassandra Farrington couldn’t find any venue in the country that would host her idea for a conference on the business of marijuana. This week, she hired out the Hilton Chicago, one of the city’s most famous hotels and one that has accommodated every US president since it opened in 1927. “When we first started looking for venues, people ran screaming in the other direction when we said ‘Hey, we want to have this marijuana business conference’. They were like ‘no way, get out of here’,” Farrington said as 2,103 attendees ate lunch from white tableclothed tables at the 2015 Marijuana Business Conference & Expo. “Our first conference was at this masonic lodge in downtown Denver because it was the only place that would rent a venue to us. Now legalised in 23 states and the District of Columbia for medical use and four states – Colorado, Washington, Oregon and Alaska – and DC for recreational use, weed is big business. Farrington said independent analysts have valued the legal industry at $3bn, rising to $10bn when including ancillary trades and services. She puts the industry’s workforce at 60,000. “You have to keep in mind that this not a new market or a new product, there is an existing consumer base who have been purchasing this in the shadows and in shame for decades,” George Jage, president of Marijuana Business Media, said. “It’s really difficult to pin down an estimate of the black market, but calling it $50bn would be a reasonable estimate. He said the estimate of the economic benefit of legalising weed would be even higher if it accounted for the savings created by reducing the number of people jailed for possession, which is much more likely to affect black people than whites. For now, Farrington says, the industry is concentrating on making cannabis more of a “mainstream and sellable product”. 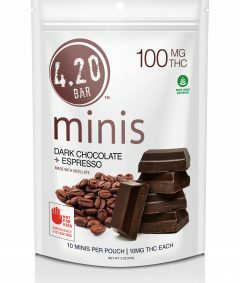 Leading that charge are companies making marijuana-laced chocolate and sodas infused with Tetrahydrocannabinol (THC) – the active ingredient which produces the “high”. She said the science of weed has come on so much in recent years, that she could imagine “light beer-type strains” being marketed at “soccer mums”, while “the 20-something stoners going on the frat party down to Panama City Beach for the weekend they can get what they want too”. 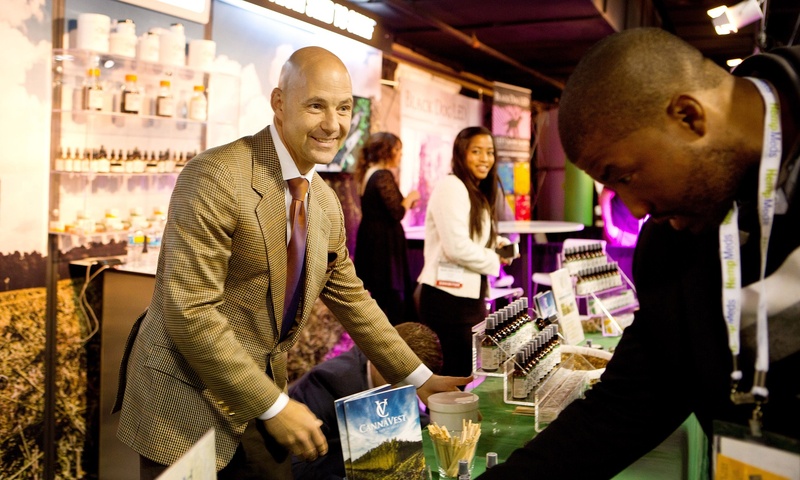 Cannabis chocolates and drinks make up a heavy presence across three exhibition halls in the basement of the Hilton taken over by the conference, which is now a twice-yearly event and will next be held in Las Vegas this fall. 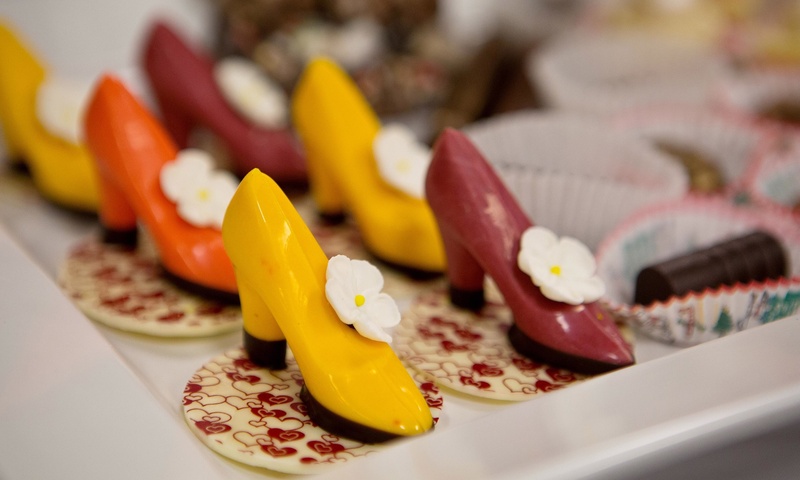 Sweet tooth or gourmet cannabis chef? One of the biggest is the Venice Cookie Company (VCC), the largest manufacturer and distributor of cannabis brands on the west coast. Dan Zuckerman, VCC’s representative at the show, is showing off an eclectic range of products from cookies (naturally) and chocolates to tea, vapes and even olive oil and coconut butter. VCC also offers cannabis infused ingredients to “let you be the gourmet cannabis chef”. Recipe ideas include creating your own “edible experience from a simple salad with Not So Virgin Olive Oil” or making cinnamon toast “slathered in Cannabis Coconut Butter”. Zuckerman said VCC is actively exploring expansion to Colorado, Illinois, Nevada and Arizona before the end of the year, but the company’s ambitions are being hampered by federal law that prevents cannabis and cannabis products from being transported across state lines even if (as in the case of Oregon and Washington) it is legal on both sides of the border. “It means we need to grow it, and produce it and package it all inside each state. It’s quite a logistical challenge,” he said. While VCC and Colorado-based Dixie are currently the biggest players in cannabis edibles and drinks, most people at the conference reckon it’s just a matter of time before big business companies move into the sector. A couple of stalls down from VCC’s chocolates, Jaïr Velleman is declaring a “green rush” to anyone who’ll listen. Velleman has flown over from the Netherlands to sell indoor horticultural lights made by his company, Gavita. “This is the green rush,” he said. “It’s like the gold rush but this time the money is in plants. I’m selling lights – the shovels of this trade. And in the real gold rush who made the most money? The people who dug gold or those who sold the shovels …? Velleman explained that demand from marijuana growers is strongest because the most popular cannabis plant strains grow best indoors under artificial lights.